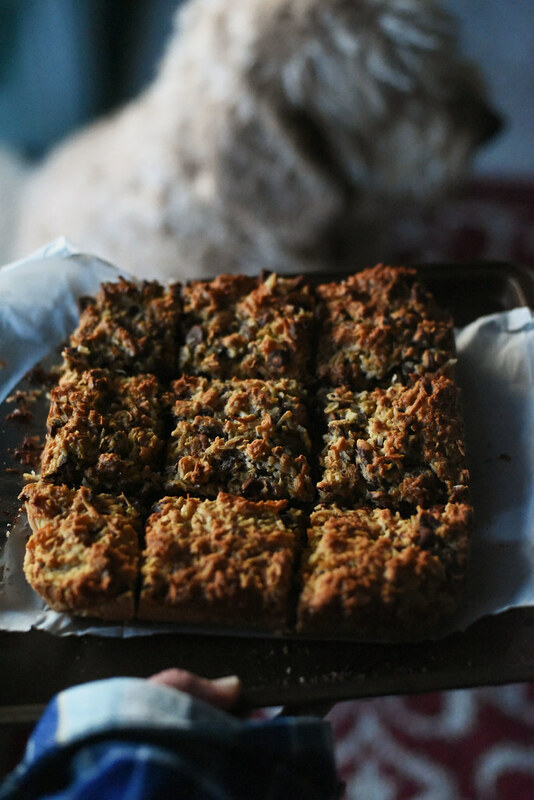 When you are shopping for the ingredients necessary for this recipe – which if I had to guess ( based on what was in my grocery cart) you will only need to gather a bit of unsweentened coconut flakes and more butter – you should probably also grab a roll of TUMS. I am not saying these will give you heartburn but I kind of am. It is like one of those terrible drug commercials, this drug may save your life but your remaining years will be hell on earth and you will need at a minimum 5 more drugs to battle the most common of side effects. One of which is death. But maybe you aren’t prone to heartburn like myself. If that is the case you probably also can drink orange juice with wild abandonment, snack on Snicker bars without a care in the world, and sip red wine without first popping a Pepcid. Ever have heartburn where you would rather die? Or is that just me and my 89 year old elderly gentleman esophagus? Enough about heartburn because! seriously. 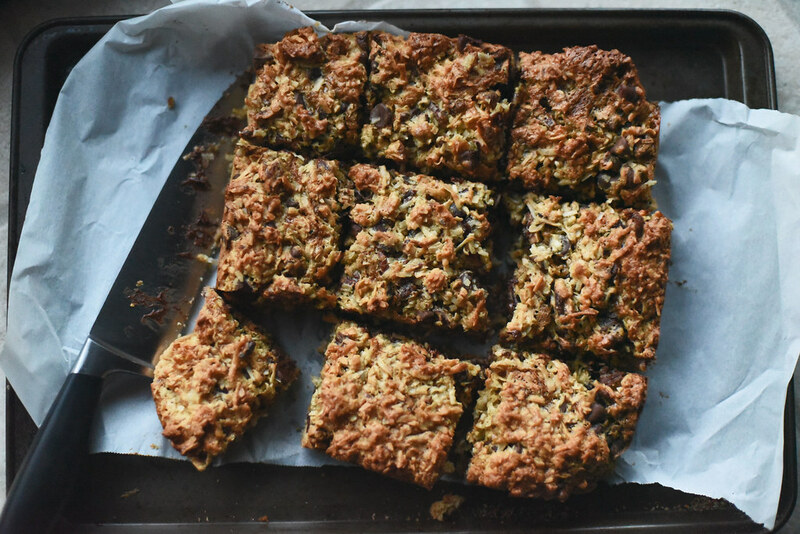 I don’t want to turn you off of these here chewy chocolatey coconutty bars that no matter the level of heartburn you will be wanting more. And if you have no rate limiting factor (heartburn), may you have will power. Or a good metabolism. Or a hatred for coconut and pecans. Otherwise, you are screwed. We are always looking for simple desserts to bake at a moment’s notice for family and friends that pop in or for when the sweet tooth strikes and the pajamas are on and there is no more leaving of the house. These go into that file. Before I leave you with the recipe I wanted to say Thanks! for stopping by. The past 6 weeks have been a whirlwind and who the hell knows what end is up but I am here and I am hoping to start posting on a more regular schedule and sharing a bit of what my life is looking like these days. Preheat your oven to 350° F and line a 8-inch square pan with parchment paper. 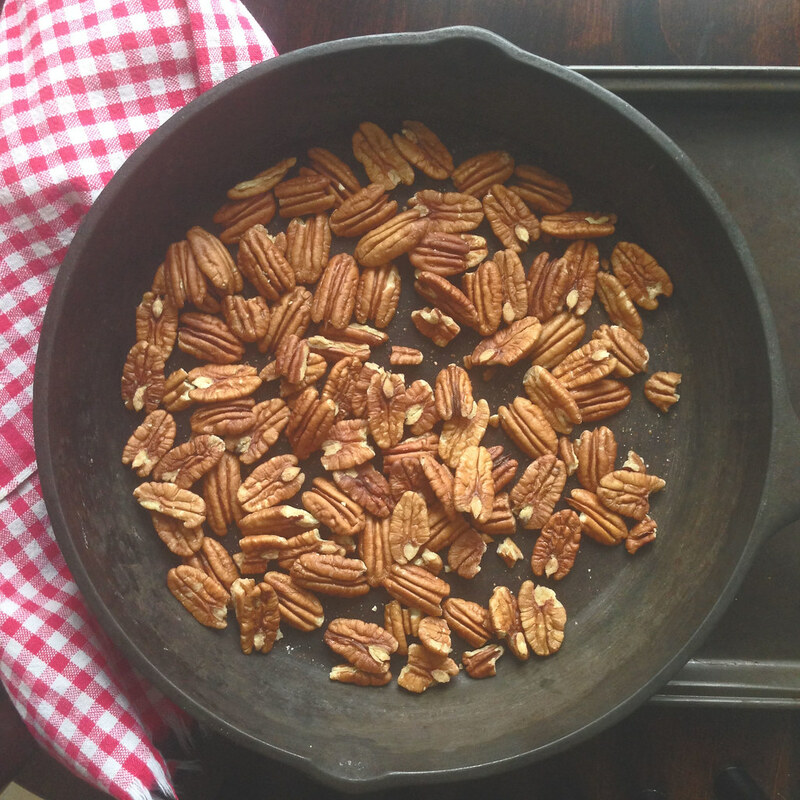 Place pecans in a single layer on a cookie sheet and place in preheated oven. Roast for about 5-7 minutes until fragrant. Remove from oven and let cool. Roughly chop. Set aside. 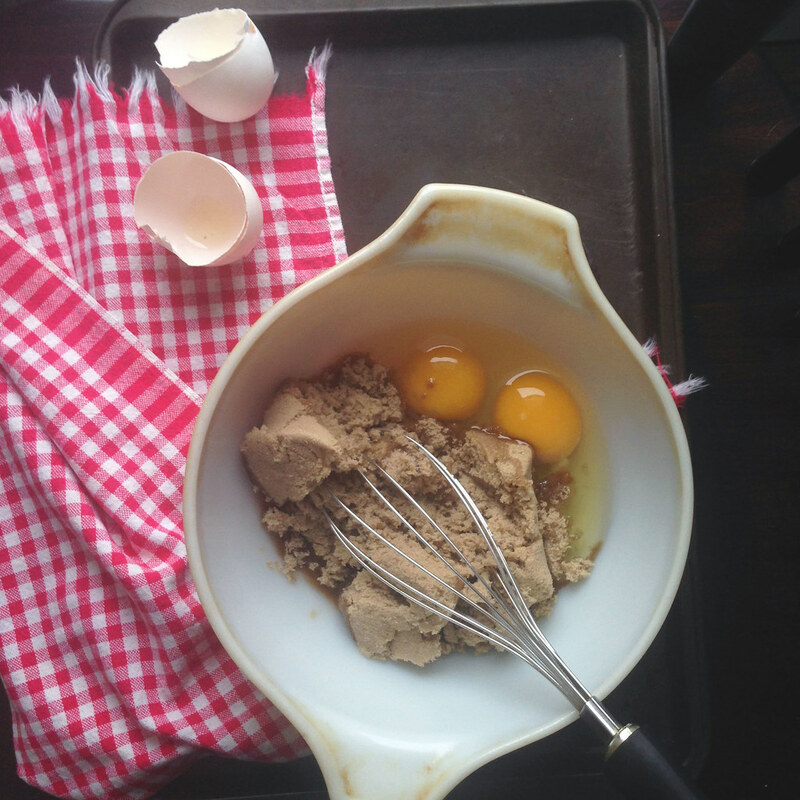 In a medium sized bowl, mix together the softened butter, flour, and brown sugar. It will be sandy like but will hold together when pressed between thumb and forefinger. Press the dough into the base of your pan, making sure to keep the layer even. Prick the dough in several places with a fork. Bake the crust for 15 minutes. Remove from oven. While the crust is baking prepare the filling. Beat the two eggs on high until very pale and fluffy, about 5 minutes. Add the brown sugar and beat for 3 more minutes, until light in color and thick. 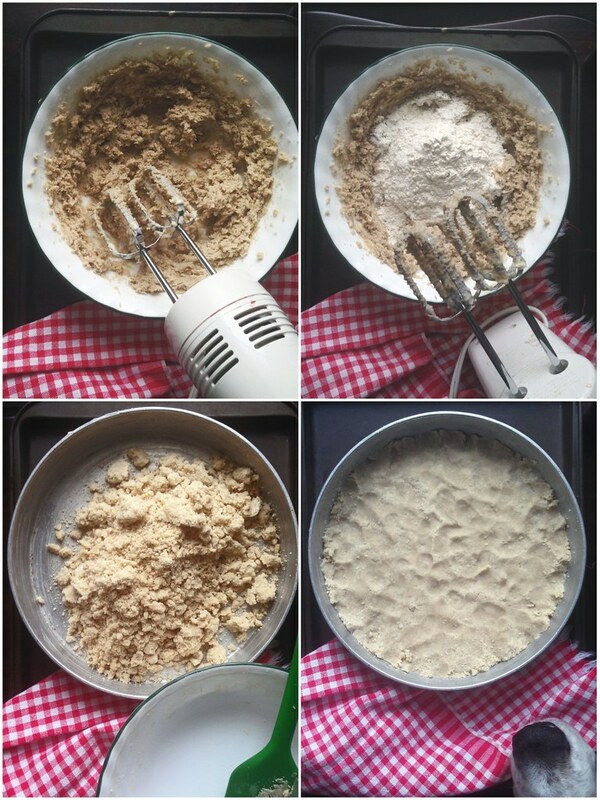 In a separate bowl, whisk together the flour, salt, and baking powder. 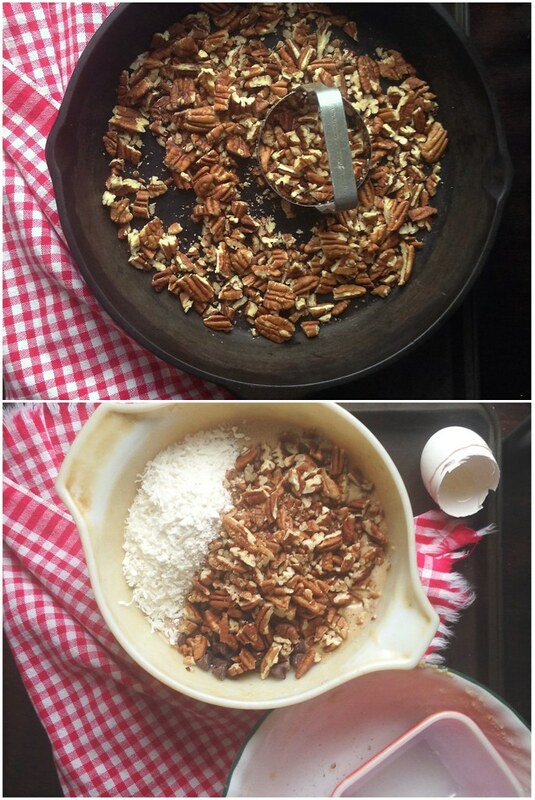 Add the flour mixture it to the egg mixture along with the coconut, chocolate chips, vanilla, and pecans. With a wooden spoon or spatula, mix until thoroughly blended. Pour the coconut mixture over the shortbread crust. Bake for 20 minutes, or until lightly golden brown around the edges and puffed up.. Let cool completely before slicing.